Keeping up the deadly charade—while pretending to do the king's bidding—will test her in frightening new ways, especially when she's given a task that could jeopardize everything she's come to care for. And there are far more dangerous forces gathering on the horizon—forces that threaten to destroy her entire world, and will surely force Celaena to make a choice. Book in One Word: CANNOT. *Note: This review would be waaay more flaily and gushy if I would've been a good person and written this review when I finished Crown of Midnight...like three months ago. 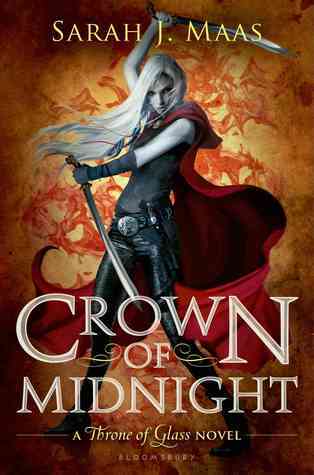 I didn't looove Throne of Glass, but it reaaally made me want to read Crown of Midnight (which I'd heard was EPIC), and ohmygosh, Crown of Midnight made me like Throne of Glass more. 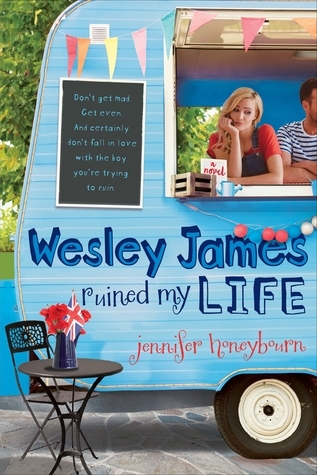 Seriously, THIS BOOK. It's a feels-fest, swoonalicious, fantasmical adventure that usurps its predecessor and leaves you with an alcohol-free hangover. One of my biggest issues with Throne of Glass was the use of exclamation points. They were, like, everywhere and drove me crazy. So I am very happy that the use of them was cut down here, because YAY. And really, I can't think of any complaints with this book (minus me wondering WHAT IS BEING DONE TO MY FEELS), so double yay! Crown of Midnight follows Throne of Glass, where Celaena became (spoiler alert) the king's royal assassin and, in order to gain her freedom, must do his bidding. But Celaena isn't the most compliant of people, so she decides to twist the orders given to her by the king and be more in control herself. However, it's never that easy when evil is afoot and magic is brewing. Oh, and when there's sexual tension like whoa. In short: READ THIS BOOK. 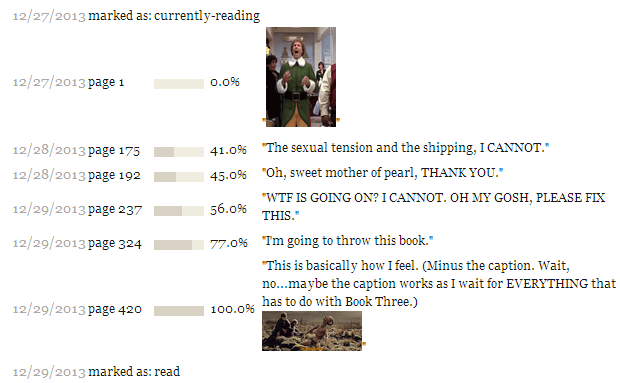 (But read Throne of Glass first, obvi.) In the meantime, I'm going to wait for The Assassin's Blade to magically appear in my hands, and I'm going to impatiently wait for ALL THINGS Heir of Fire. (Yes, I would kill for that book, sorry not sorry.) Seriously, fantasy--something I haven't read much of--might be becoming my new favorite genre. Crown of Midnight has everything: suspense, tension, adventure, murder, mystery, romance, humor, magic, shockers and surprises, a ship that'd eat the Titanic for lunch, a swoony boy (who's mine, I'll fight you for him), a KILLER ending, and so much more, oh my! Really, NEED I say more? Did I like it? OBVI. Did I love it? YESSS. Would I reread it? YES YES YES. Would I purchase it? Thank the stars I already have a copy! Who would I recommend it to? I will shove this book on everyone and everything.